Passport Seva Project, being executed by Consular, Passport and Visa (CPV) division of the Ministry of External Affairs (MEA), Government of India, aims at providing all the Passport-related services to the Indian Citizens in a speedy, convenient and transparent manner. 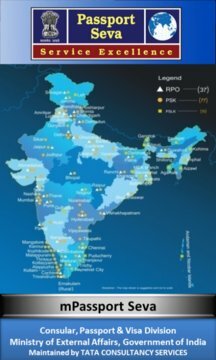 This is one of the largest projects of the Government of India under the National e-Governance Plan (NeGP) being executed in public-private-partnership mode with Tata Consultancy Services (TCS) as the private partner. The project is already operational and servicing citizens through 77 Passport Seva Kendras across India. 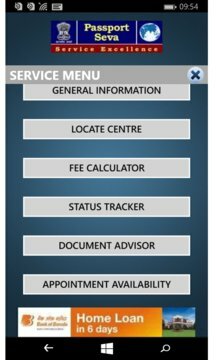 MEA with a view to provide mobile enablement of public services, has launched a Mobile Application ‘mPassport Seva’ to offer a wide variety of services to smartphone users such as Passport application status tracking, locating the Passport Seva Kendra (PSK) and general information on various steps involved in obtaining a Passport.